The First State is about to become the first in something else. Delaware will offer legal sports betting beginning Tuesday, June 5. It will become the first state outside of Nevada to allow legal wagers on individual sporting events, a revenue opportunity that’s exciting state lawmakers and Delaware’s three casinos. New Jersey led legal challenges to the long-standing federal ban on sports betting, known as the Professional and Amateur Sports Protection Act (PASPA), and seemed positioned to be the first in line to legalize sports wagering in the wake of the Supreme Court’s decision to overturn the law. While New Jersey lawmakers debated how to roll out and regulate sports betting, neighboring Delaware jumped at the opportunity to offer the first legal bets on the east coast. Delaware had a head start on legalization efforts in part due to a clause in PASPA that grandfathered the First State along with several other states that had some sort of sports wagering. Delaware offered NFL parlay cards where bettors could pick from multiple pro football games each week, a program that brought in modest revenue each fall. Now this new legalization dramatically expands Delaware’s opportunities. With experts projecting a PASPA repeal, and Delaware already positioned with three casinos, a state lottery and an exemption from the original law, state officials were confident it wouldn’t take long to fulfill all legal steps necessary to implement single-game sports betting. Now bettors can place wagers on professional basketball (in time for the NBA finals), baseball, football, golf, auto racing and more. College sports are also expected to be allowed, though bets can’t be placed on the state’s division one colleges, the University of Delaware and Delaware State. As of the initial rollout, bets can’t be placed online. Instead, bettors will need to travel to one of Delaware’s three casinos: Delaware Park, Harrington Raceway & Casino or Dover Downs Hotel & Casino. 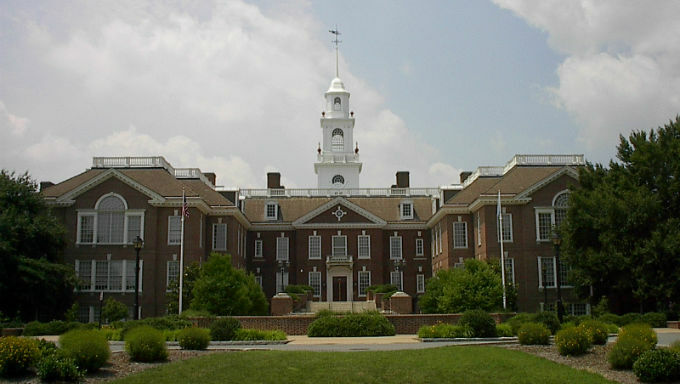 Delaware may be the first to take this step, but it certainly will not be the last. The American Gambling Association estimates $150 billion is wagered illegally in the U.S. each year and many states are looking to take a cut of that action. With sports betting now legal in its southern neighbor, New Jersey has extra motivation to capitalize on these new revenue and tax opportunities as soon as possible. According to Delaware Online, sports betting could bolster the state’s struggling casinos, with Dover Downs reporting a loss of more than $1 million in 2017 alone. Mississippi is also looking to join in on legalization and is hoping to become the first southern state to allow single-game wagering. The Magnolia State has one of the region’s largest casino industries and state lawmakers are excited about sports gambling’s potential to enhance revenue potentials. Along with West Virginia, New York and Pennsylvania, these state are best prepared to offer legalized sports betting, with legislation in place for each expected in time for the start of football season. With projections expecting billions to be wagered legally in the wake of the expansion, up to two dozen more states considering sports gambling legislation might not be far behind.